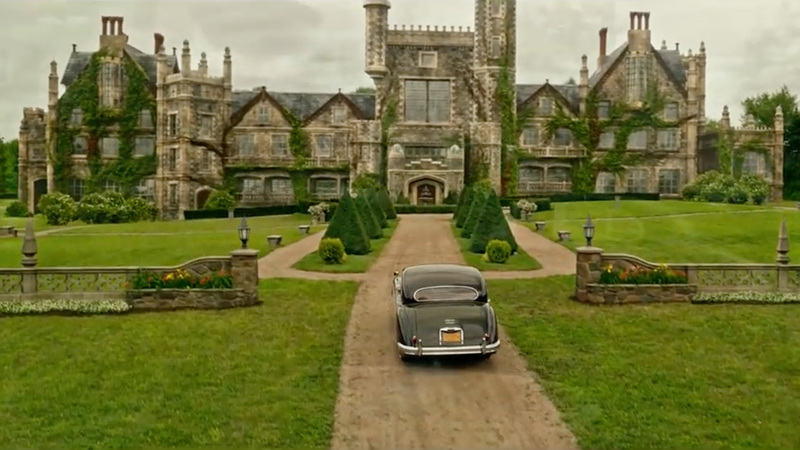 In advance of the X-Men: Apocalypse release next month, and in partnership with 20th Century Fox, Coldwell Banker has created a fun, fictional listing for the X-Men's X-Mansion. Retailing for a mere $75,850,000, the house includes 24 bedrooms, a private lake, a basketball court and health spa, an indoor jet hangar, and—for you smart home tech-junkies out there—an "underground R&D lab with a fully functioning power amplification device" (better known as Cerebro). But that's far from everything. "Featuring three lavish stories, in addition to a main basement and two sub-basements, this property is built to survive even the most catastrophic apocalypse," the ad reads. Three videos flesh the campaign out. The first one, "Home of the Week: X-Mansion from X-Men: Apocalypse," includes stars like James McAvoy, playing a young Professor X, in homely surroundings as a realtor walks you through the house's many features. The next ad, "Being at Home," sheds those Lifestyles of the Rich and Famous pretenses; it's more like a classic movie trailer. Beginning quiet, it builds to a suspenseful edge, with weird nods to the overall "home" theme. "I've never felt power like this before," a black-eyed Xavier whispers in a manner most sinister. As we cut to various action shots, the gleaming words "It's nice to be home / before a long day / of saving the world" dive into center-screen (begging the question: Where else would you be before a long day of doing anything…?). "Nice to Come Home" (points for imagination on these titles!) follows in the same vein: Littered with teasy shots of a now-bald Professor X, youthful mutants putting sporty sunglasses on, and liberal close-ups of Jean Grey (Sophie Turner, wearing her anxious Sansa face), it closes with the words "It's nice to come home"—another jarring Coldwell tie-in that feels something like a single toe hole in an otherwise-serviceable pair of socks. There's a reason to all this rhyme that doesn't quite express itself the way it should. "Throughout the last several years, Coldwell Banker has developed meaningful relationships with new audiences, extending beyond traditional real estate advertising to tell stories about the value of home in fresh and exciting ways," a press release explains. We were pretty on board with that until we saw the last two trailer-style ads, which take great pains (or precious few) to wiggle that "Home is great!" premise into all the mutant-on-mutant action. The effort to dress a generic pair of movie promos like a homebuying ad—which isn't even a genre much worth aspiring to—shatters the suspension of disbelief built by "Home of the Week." As for "fresh and exciting," it's hard to avoid comparing Coldwell's work here to Century 21, which is making actual efforts to refresh an ad sector that doesn't score many notches: In the last two years alone, it's given us a campaign made of moving boxes, a home zombie-proofing kit, and clever autoplay ads for Facebook. Coldwell's X-Men campaign is actually more in keeping with a trend led by superhero marketing. To compensate for saturating us with a slew of Marvel or DC movies (how many trailers of "special" people crushing cities can you stand? ), the sector has adapted by systematically blurring the lines between our world and theirs: Deadpool punts testicular cancer awareness on one side of you, while Lex Luthor delivers a maniacal tell-all to Wired on the other. But points for effort; this is still better than a rich media banner. "The X-Mansion is an iconic landmark in comic and film history. Professor Xavier's School for Gifted Youngsters has always represented a home filled with excitement and learning for the X-Men," says Zachary Eller, senior vp of marketing partnerships at 20th Century Fox. "We're thrilled to work with Coldwell Banker to have some fun with the X-Mansion and give fans a never before seen sneak peek inside the mansion." Yeah, well, we look forward to the downloading the torrent.